Rush Kilburn opened its doors in July 2015 with long standing Rush stylist, a specialist in Afro-Caribbean hair and now Rush franchisee, Nita Brainch. Nita will be bringing a touch of glamour to Kilburn High Street. 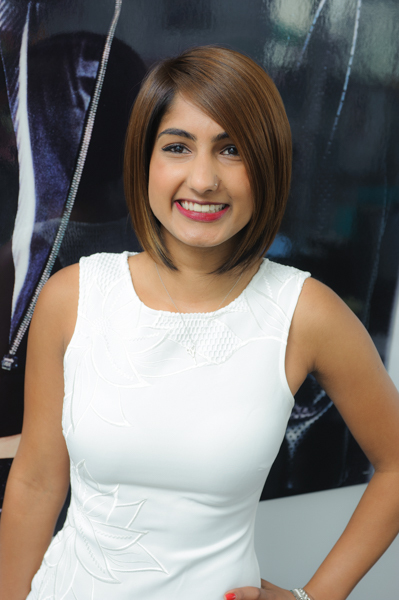 Previously working at Rush’s flagship salon ‘The House of Rush’ in Piccadilly, Nita has built an array of clients over her 8 year hairdressing career. Nita wanted to take the next step and pursue her passion to open her own Rush salon. Tell us about yourself: What did you do before becoming a Rush franchisee? I have been in hairdressing for 8 years and I specialise in Afro hair. I had just qualified as a hairdresser when I came to Rush. Rush taught me some amazing skills and has made me the hairdresser I am today. I couldn’t think of a better team that I would want to go into business with. Why did you decide to open a Rush Franchise? I love being a hairdresser but I’ve always wanted to have my own salon and Rush have helped make this possible. I love the way Rush pride themselves with their exceptional customer service and they really encourage their employees to grow creatively. I’ve always been very ambitious and business minded so the next step for me was to open my own franchise salon. How did you choose your location? – Was Kilburn always somewhere you had in mind? I have a lot of trust in the Rush business, and they carefully choose their locations with the franchisee’s needs in mind. When the opportunity came up for a salon in Kilburn I jumped at the chance. Kilburn is a fantastic area, it’s multicultural, always busy and the salon is on the High Street right next to the train station. I wanted to cater to a wide range of clientele, so Kilburn is perfect for me. How was the franchising process? What training and support did you receive? The support I have received has been phenomenal from Rush, my existing clients and friends. Every step of the way, the Rush team have been there for me. Head office have been fantastic, the marketing team have provided me with everything I need to push the awareness of my new salon. The accounts department have been on hand at all times as well as the site manager and building team which have kept me updated regularly with the shop fit. The co-founders and directors have been incredible mentors and have held my hand every step of the way. What are you most looking forward to in your new Rush salon? I cannot wait to be a part of a strong team who serve the clients with extraordinary service and creative amazing hair every day. It feels incredible now that I am a Rush franchisee. I’m excited to be a salon owner and nurture my new team, Rush has given me a career not just a job and I want to pass this on to my team. I love meeting people so getting to know all the businesses and residents in the area will be very exciting! What advice would you give someone considering franchising? If you have the passion then everything else will follow, the rewards are endless and satisfying. You have to be full hearted, dedicated and driven. I would recommend you to do thorough research and engage with existing franchisees to get a clear idea as to what is expected along the journey. Ask lots of questions before deciding if it’s right for you.